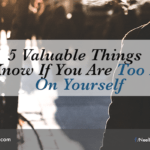 There are things that happen in our daily lives that can affect our confidence. It can be someone saying something nasty to us, receiving some bad news or experiencing an unexpected event. If we’re not mentally strong, these things or experiences can shake our confidence and have a negative effect on what we’re doing or want to do. 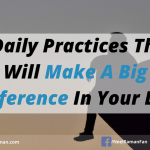 We all need daily reminders to be in the right frame of mind, which is one of the main reasons why having powerful morning rituals is so important. We are all special but we don’t hear it often enough. Having daily reminders can automatically shift our focus to what’s great about us, which in turn, can set us up to have a great day. Having daily, empowering reminders is not about generating false confidence. It is about having a healthy level of respect for ourselves and using strategies or techniques to move us closer to where we want to go or what we want to achieve. Here are ten daily reminders that will help us generate more confidence, be more focused and motivated to do what is required to accomplish what we want. I have greatness within me and I was born to be great. We all have greatness within us. It is our responsibility to find out what it is and express it every day. The more we live our greatness, the more confident we will be because we will be doing what we are meant to do. Here are some powerful ideas that will help grow your greatness every day. Today can be the best day of my life if I choose it to be. We create our reality and it is our attitude that dictates what kind of reality we create. If we allow circumstances to take us off track, then our reality will reflect that. If we choose to have a great day, we have a much better chance of having a great day as compared to just hoping to have a great day. There is always something to be grateful for each day. No matter what is going on in our lives, there is so much to be grateful for. Choosing to be grateful is an attitude. When we are being grateful, we are programming our mind to look for the good things that are happening in our lives. Whatever we focus on, we get more of, so by being grateful, we will discover more things to appreciate and be a lot happier. I will choose to let go of things I cannot control or change. Most of the things in life, we don’t have any control over. We only have control over the thoughts we think, the images we hold in our minds, the emotions we generate and the behaviours or actions we take. If we focus on doing the best we can in those areas, the rest will take care of themselves because we will be in control of the things we can influence. No matter what happens, I will choose to look for the opportunity in every situation. Things will always happen when we least expect them. If we react to everything that happens to us, it can affect us in a negative way. We must always be aware of the things we can influence and the things we cannot influence. Rather than reacting all the time, our job is to assess and respond to situations accordingly. If we look for it, there will be something positive in every situation. I will do the best I can today and I do not need anyone’s approval. It is quite surprising that a lot of the things we do in life, we do them because we are seeking the approval or love of others. Most times, we are not even aware of it. We should always do things because we want to and they are aligned with our highest visions and our purpose in life. It should never be to impress others or to get their approval. I am alive today which means I can add value to others. Each day we’re alive, it means our job on earth is still not done yet and we have the opportunity to make a difference in some way. One of the most rewarding things we can do in life is to help make other people’s lives better, whether that is as a parent, a service provider or as an employee. If I complain about something today, it is feedback that I am not willing to risk creating something I want. Whenever we complain about something, we have a reference point for something better we’d prefer, that we’re not willing to risk creating, so it is easier just to complain. Instead, what will be more productive is to acknowledge the situation we’re in and get clear on what we want, then take the necessary steps to make that a reality. I am a success in life and will continue to be a success because I have goals which will bring the best out of me. We are all successful because we have different definitions of success. One measure of success is whether we’re constantly challenging ourselves to improve by setting new goals. Achieving goals will require us to stretch, grow and bring the best out of ourselves. This is my experience of life and I choose not to compare myself to others. It is a human trait to compare ourselves to others. There are two schools of thought on this. On one hand, if we compare ourselves to others and conclude that they are better off than us, then that may be the incentive or motivation we need to make new decisions or get committed to improving ourselves. On the other hand, comparing ourselves to others may cause negative thoughts and emotions, which in turn, could affect our self confidence. Personally, I like to compare myself to where I was before I set a new goal and evaluate how much progress I have made towards achieving that goal. We must always protect our confidence because it can be quite fragile if we’re not mentally strong. If we use these reminders as the foundation for our level of confidence, we will have more good days than bad days. If we don’t feed our minds with positive self-talk, we are leaving our daily experience of life to chance — we may have good days and we may have bad days. We won’t be intentional about the type of experiences we want to create. Action Step: Write out these reminders (or other empowering reminders) on an index card or program them into your phone, and read them daily. If you can read them multiple times each day, it will be even better. 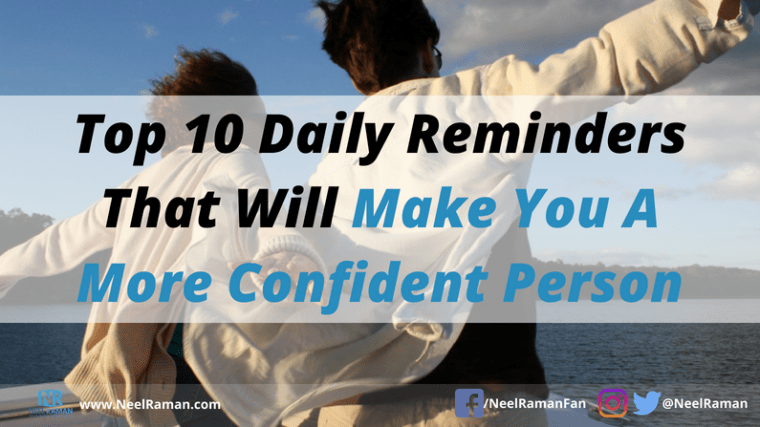 Question: What is another reminder than will help make us a more confident person?